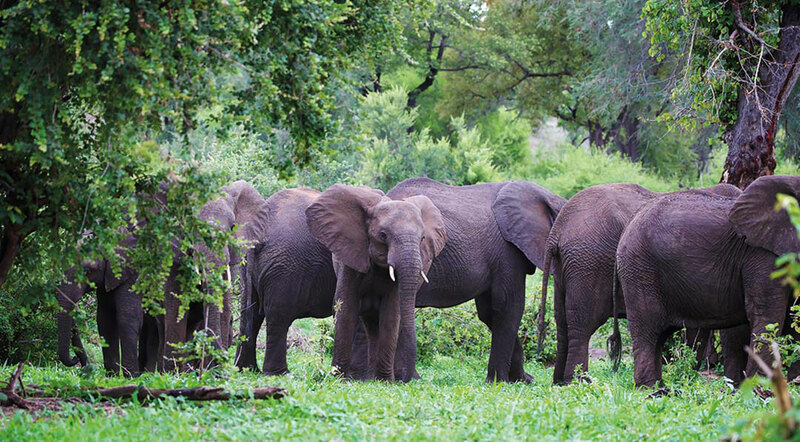 The exclusive Matetsi Victoria Falls offers a safari oasis that combines an exceptional wildlife experience with easy access to the majestic Victoria Falls. 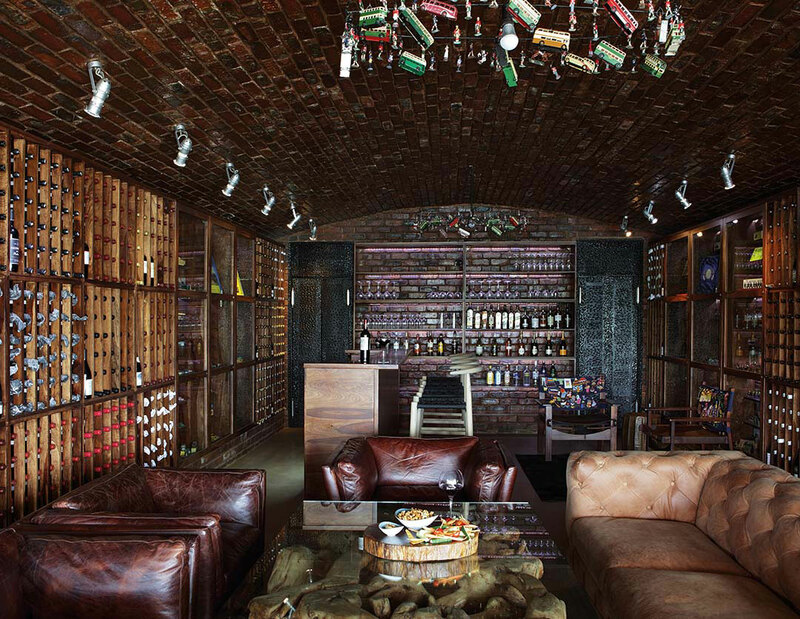 The lodge pays homage to the wonderfully rich cultural heritage of Zimbabwe by showcasing a vibrant theme of wood and copper, the “red gold” of the country’s historical mining industry. 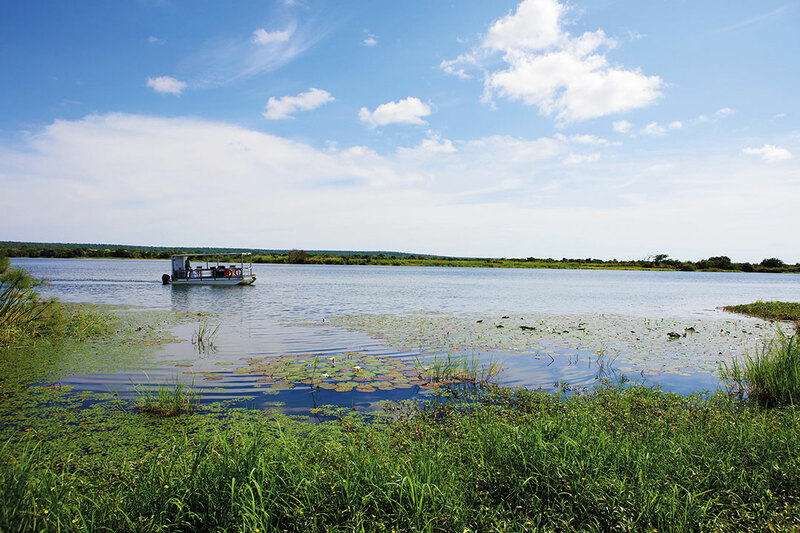 Splashes of bright blue remind guests of the rushing waters of the Zambezi River. 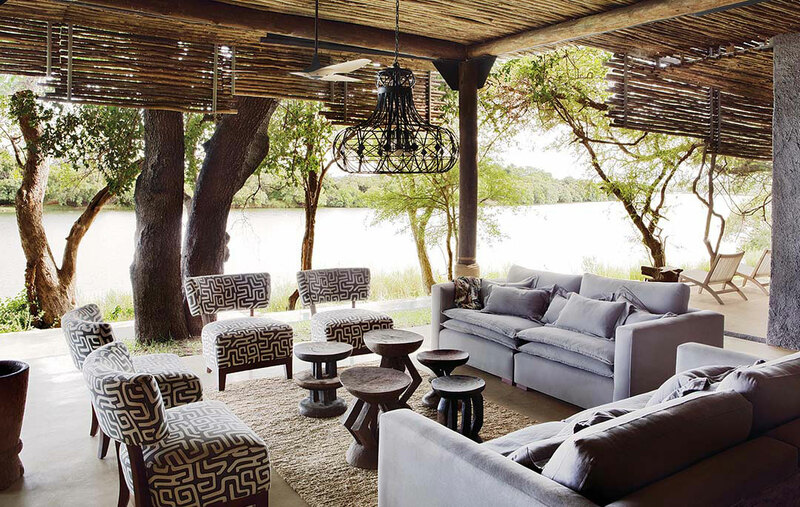 Matetsi Victoria Falls boasts two intimate camps of just nine river-facing suites each, including two family suites. 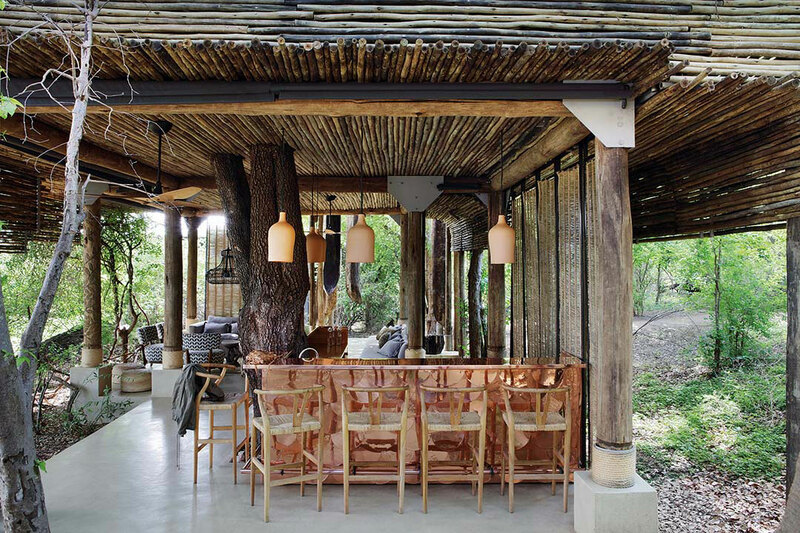 Each camp features its own guest area with a variety of dining spaces, an interactive kitchen, a convivial bar and an al fresco area that encircles a blazing fire bowl. 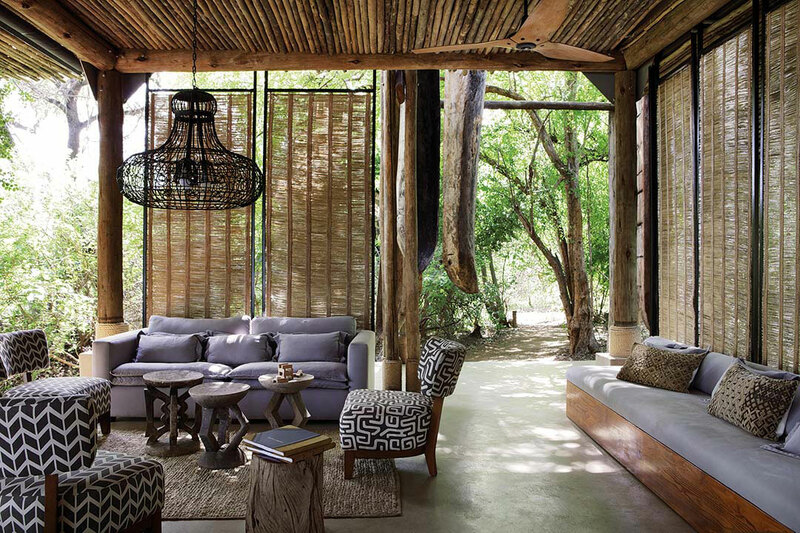 Each of the nine spacious suites, at the two intimate camps, are encased in local and repurposed materials that reference the ancient fishing and basketweaving traditions of the region. 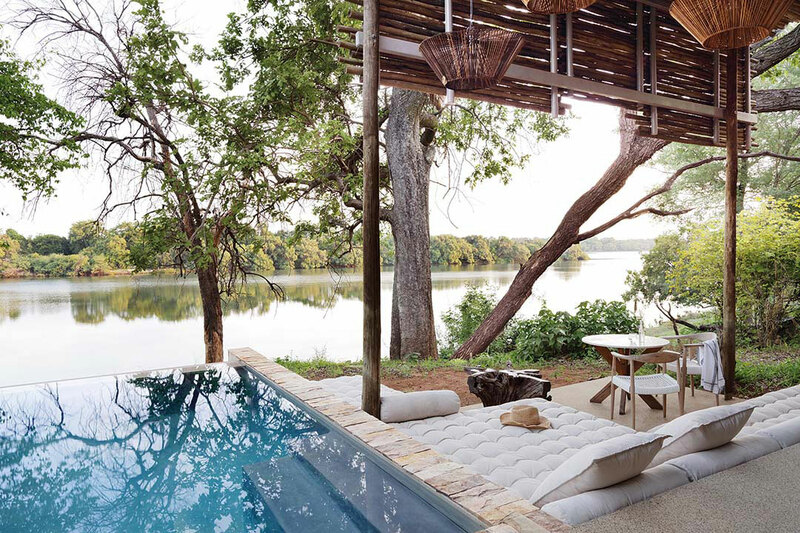 A private veranda offers a refreshing plunge pool and a comfortable sitting area that overlooks the Zambezi river. 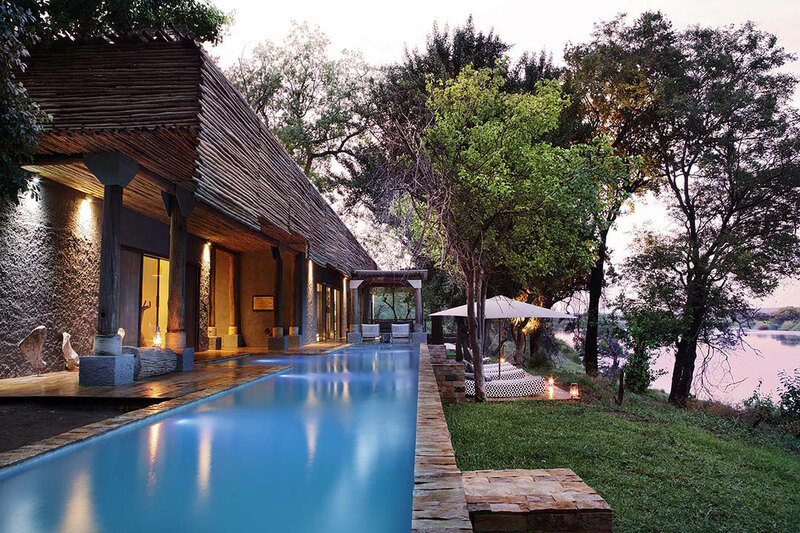 Matetsi Victoria Falls offers 18 suites and 2 family suites, divided in two intimate camps. 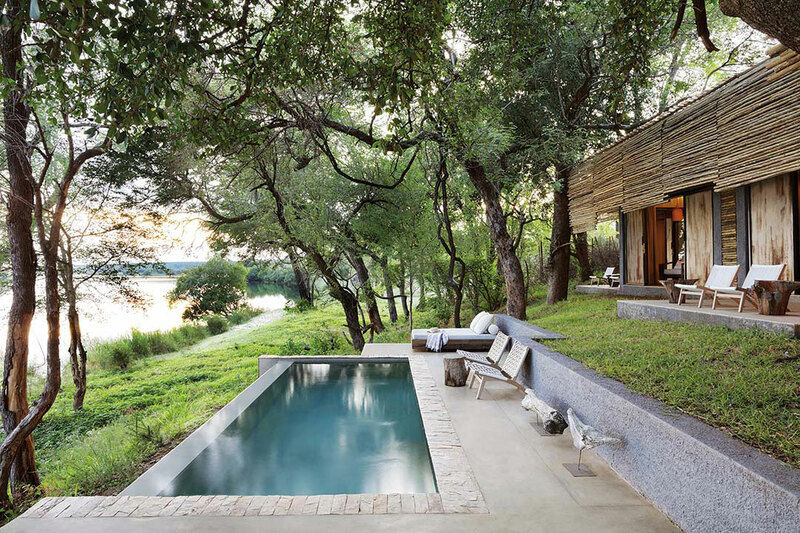 Tucked into the banks of the Zambezi River, the soleuse Matetsi River House is a soothing safari retreat for small groups and families. 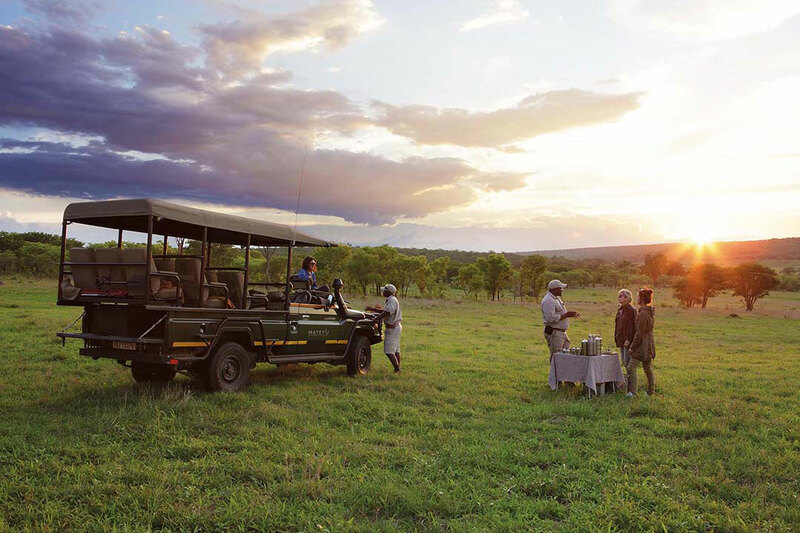 Rates per person per night, based on double occupancy, fully inclusive (three meals daily, soft drinks, house wines, local brand spirits and beers, teas and coffees, refreshments on game drives, laundry service), safari activities, sundowner cruise on the Zambezi river, canoeing, fishing, emergency medical evacuation insurance, and VAT. 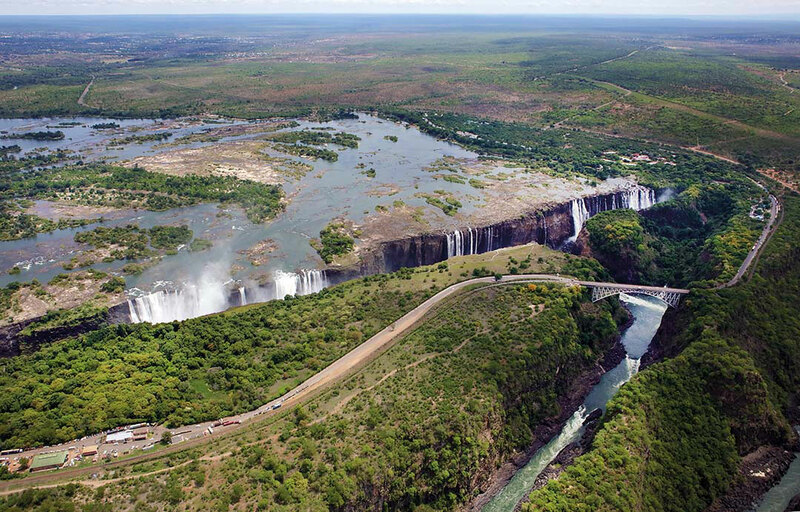 Tour of Falls Experience - Stay for a minimum of 2 nights and receive a free scheduled afternoon tour of Victoria Falls, inclusive high tea at Victoria Falls Hotel. 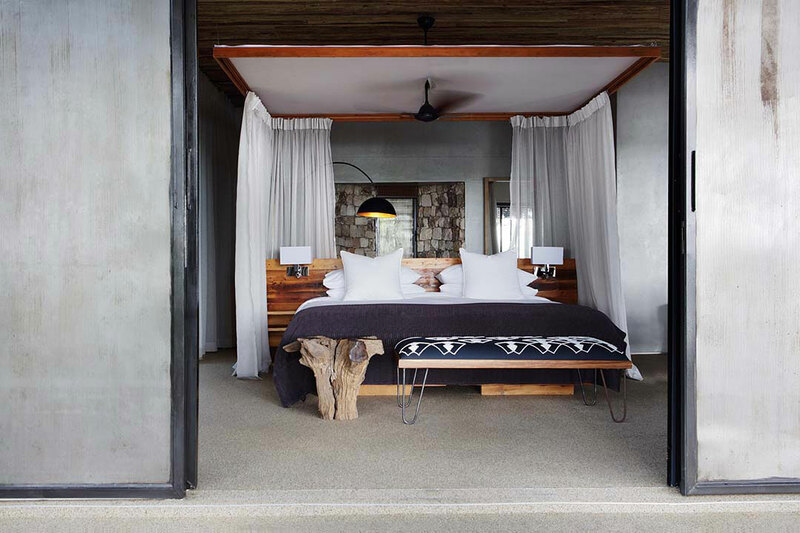 Long Stay special rates - Take advantage of special rates for stay from 4 consecutive nights or more. 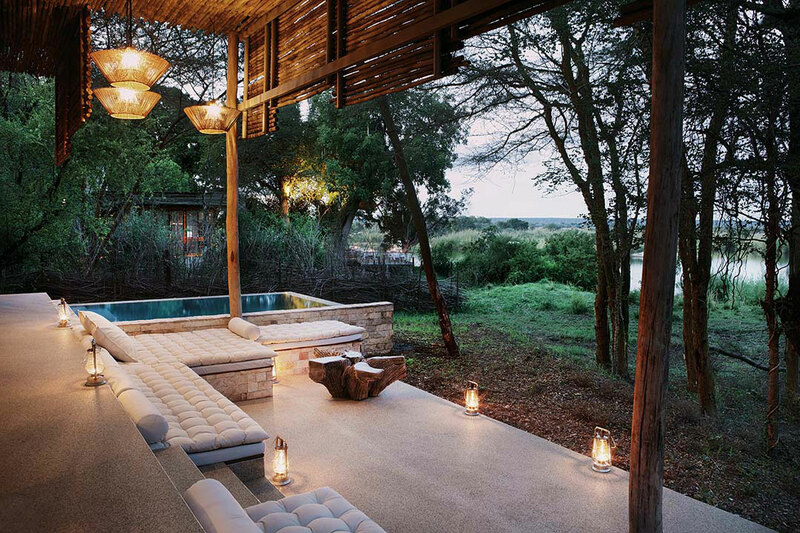 Honeymoon Offer - Stay within 6 months of date of marriage and receive 50% discount for the bride. Mouth-watering flavours are created in an interactive kitchen and served indoors or beneath a canopy of mangosteen and waterberry trees. 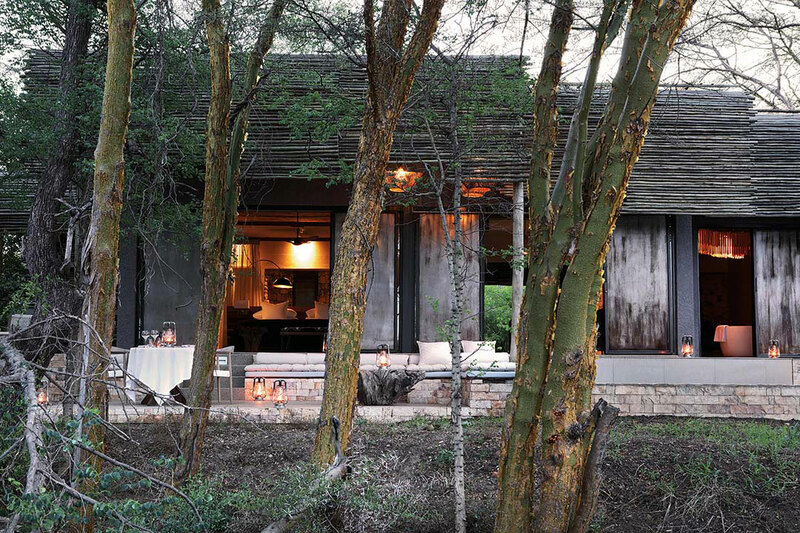 Al fresco dining takes place next to the quiet murmur of the running waters, punctuated by a choir of frogs. Room service & private in-suite dining.